This title provides an approachable overview of people management by applying leadership and coaching principles. 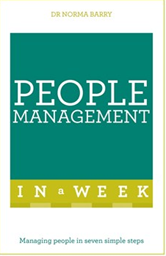 Sunday: What is people management? Monday: What do people managers do?